The creation of a successful vaccine against the deadly disease Ebola has finally happened. Scientists recently published their findings were they assure the new vaccine gives 100 percent protection against the lethal virus that killed more than 11 thousand people in the West African epidemic. The results were so effective that 300 thousand doses were already produced although the vaccine has not been approved by any regulatory agency, yet. The doses were manufactured in case there is another outbreak. The Ebola virus has been known since 1976. Many efforts to fight the virus emerged but were never concluded due to lack of funds. A tragedy had to take place to raise awareness about the condition. The explosive Ebola outbreak that happened between 2014 and 2016 infected more than 30 thousand people not only on the African continent but Europe and the United States. Over 11 thousand people lost their lives due to the virus, defenseless because scientists were nowhere near a cure at the moment. The World Health Organization’s assistant director-general for health systems and innovation, Marie-Paule Kieny, admitted that the recent study on the successful Ebola vaccine came too late for those who lost their lives during the West African epidemic. Kieny, who is also the study’s lead author, added that the new vaccine would protect humans from the next outbreak arguing that the world cannot afford the “confusion and human disaster” that brought the last epidemic. During the 2013-2016 outbreak of Ebola disease, many efforts began in the search for a cure and preventive medicine to avoid Ebola-related deaths. One promising vaccine candidate outstood among the many efforts: The recombinant, replication-competent, vesicular stomatitis virus-based vaccine expressing the glycoprotein of a Zaire Ebolavirus, better known as rVSV-ZEBOV. The World Health Organization led the trials to test the promising vaccine, The Guinean Health Ministry, Norway’s Institute of Public Health and other international institutions. The test results of the trials showing the 100 percent effectiveness of the Ebola vaccine were published Thursday in the journal The Lancet. Although the results are recent, the vaccine was developed over a decade ago by the Public Health Agency of Canada and the United States Army, and it is currently licensed to Merck. The vaccine was tested first in several animal species, including mice, hamsters, guinea pigs and nonhuman primates. 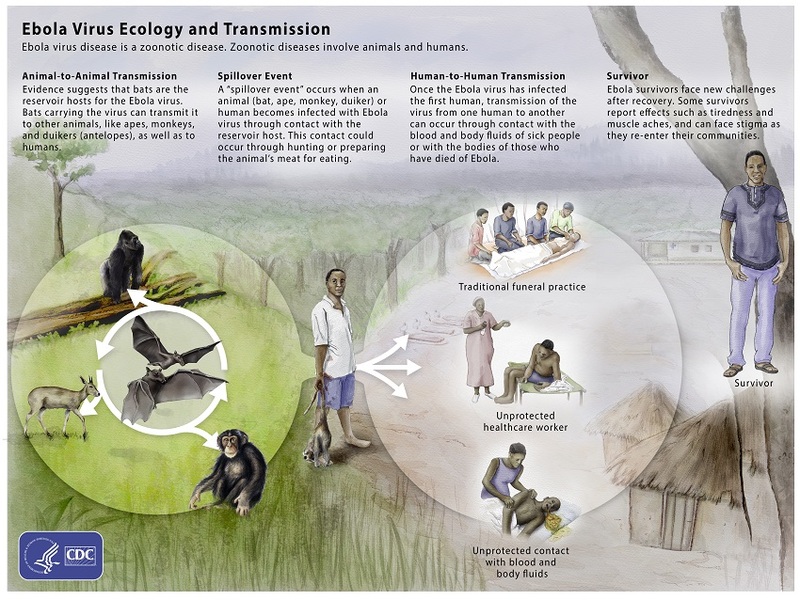 Even some primates that received the shot after a day of being infected with the disease were protected against Ebola. After seeing the promising results, the study passed to human trials in a campaign called: “Ebola ça Suffit!” (Ebola that’s enough!). The Lancet study was performed in 2015 and included 11,841 participants from Guinea. The human trials followed a ring vaccination method whose primary objective was to assess the efficacy of the rVSV-ZEBOV vaccine for the prevention of Ebola virus disease in people. 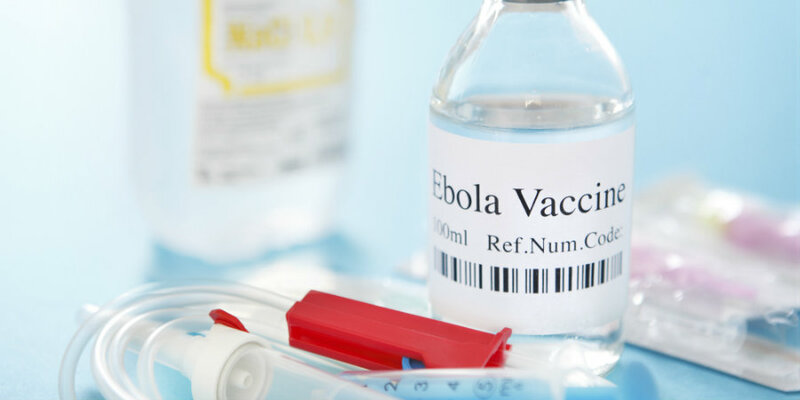 The ring vaccination technique to test the Ebola doses began with a confirmed case of Ebola. Then, researchers contacted everyone in the circle of family, friends, neighbors and anyone who had been in touch with the patient and made a list. Scientists also included all the people that were in contact with the first individuals related to the confirmed case of Ebola. Among the 11,841 residents involved in the trials, 5,837 people got the vaccine. The study shows that none of them had Ebola 10 or more days later. If a person presented Ebola symptoms during the first nine days, the case was not counted because it was assumed the individual had already been infected before vaccination. The Ebola vaccine works fast, within four to five days, meaning that humans could also avoid the disease if they get the shot soon after they are infected. The Lancet study does not know if the vaccine offers short or long protection against Ebola. More time is needed to confirm how durable is the dose but what it is sure is that the vaccine provides short-term protection during small outbreaks, which is enough to stop the spreading of the virus during another epidemic. Regarding the reported 100 percent efficacy of the vaccine, Ira Longini, a biostatistician at the University of Florida involved in the study stated that no vaccine nor drug is perfect. Longini explained that the efficacy of the vaccine is clearly high but not 100 percent. The value used in the study only shows that the dose has not been tested on enough people yet. It is likely that the efficacy of the vaccine shown in the recent survey will decrease over time while it is tested in larger populations. Longini says that in the end, the dose is likely to have about 70 percent efficacy. 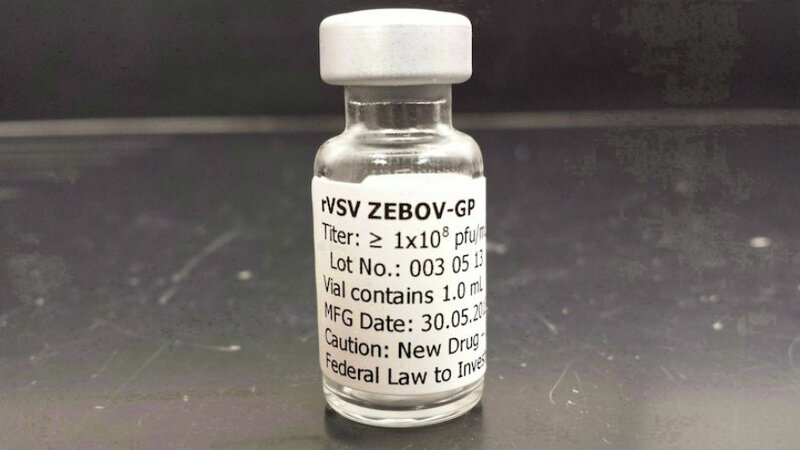 The rVSV-ZEBOV vaccine needs to be approved by a regulatory agency such as the U.S. Food and Drug Administration or the European Medicines Agency. A legal Ebola vaccine is estimated to be available by 2018.